There once again will be no PANCAKE BREAKFAST CRUISES's planned, nobody in The Destiny Corvette Club can drive that slow ! 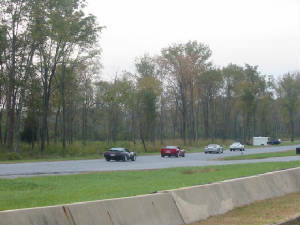 Destiny Corvette Club as of 2010 will be the only NCCC club within 100 miles of Syracuse. So if you want to continue your membership in the largest Corvette Social organization in the world, and continue to receive the benefit of the best liability insurance at the lowest price with the ultimate coverage benefits ,contact us to continue your membership at NO ADDITIONAL COST, and...get a FREE membership in The DESTINY CORVETTE CLUB ! Remember there is no liability coverage available thru any local agent or company that even come close to the K&K Ins. coverage. As quoted by some sources, why take a cxhance for $5.00 or $10.00 a year savings, think about it..you drive a Corvette, have great car insurance, and you don't scrimp on your car, so now your giving up a One Million Dollar liability policy to save $5.00...????? comon.....! The NCCC has proposed that the Northeast Region be incorporated into the East Region, and with no objections from any club or member from the NE Region we can expect that to happen soon. This is a leisure time meeting schedule allows us to be flexible throughout the year. You will receive an e-mail before the meeting. NORTHEAST REGION POINTS CHAMPION'S, WE KEPT THE CUP FOR 6 YEARS. Congratulations to The Southern Teir Corvette Club for the great turn out of members to race and capture the trophy. Southern Teir CC, a NCCC Club too. 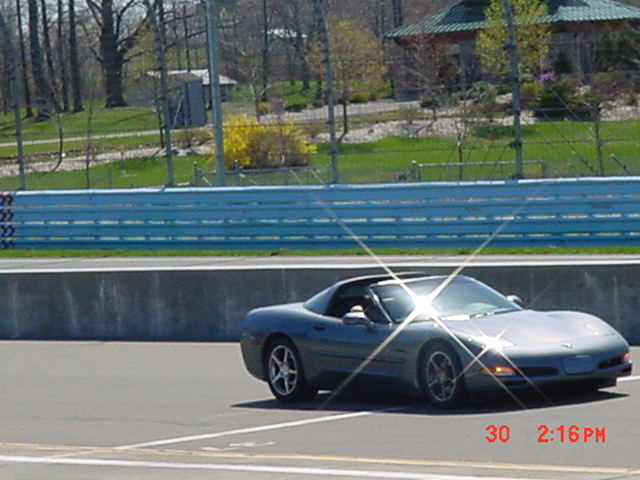 Tommy at Watkins Glen, he'll never be the same. 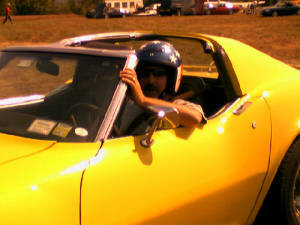 Racing, partying, cruising, waxing the vette, fixing it, what do you do with your Corvette, what do you want to do with it ? You will find everything you ever wanted to do, and more activity to keep you young or young at heart in Destiny Corvette Club. This payment to PAYPAL includes membership in Destiny Corvette Club for 2006 and 2007, and membership in the National Council of Corvette Clubs for the rest of 2006 and all of 2007. 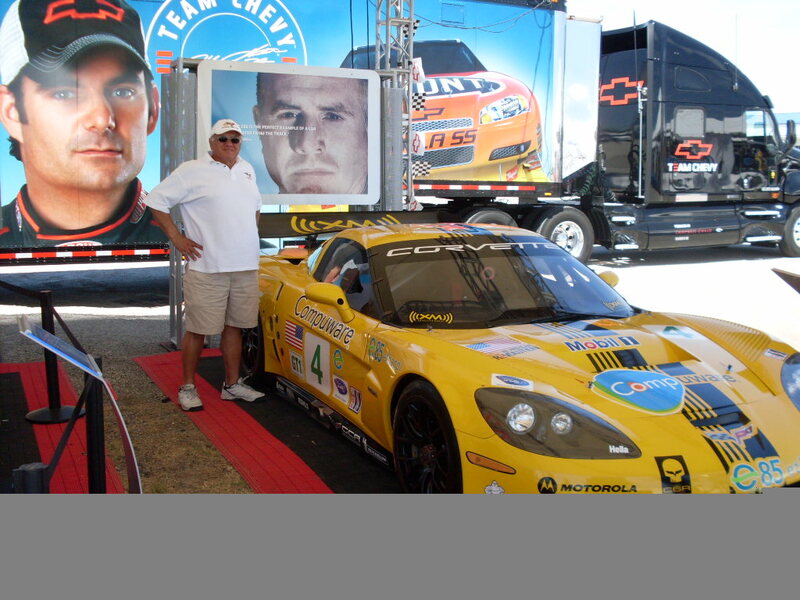 This picture on the left is of an amazing race car driver. Can you guess who this is, and no it's not Mario Andretti, but close. The 2nd picture is is of what many of us wish our cars looked like and went around the track as fast as. Bottom picture may be of everybody getting a speeding ticket, or waiting in line at Dunkin Donuts the morning of a race.